Mike MacKay of Basketball Canada is a proponent of teaching basketball in this way. To save you time, here is a summary of some of the concepts I took away from watching Mike MacKay’s presentation at Basketball Manitoba’s Super Coaches Clinic. MacKay is currently Performance Manager of the women’s high performance program for Basketball Canada. Previously he was the Manager of Coaching Education and Development. Note not all the bullets are direct quotes. Some are paraphrased and others re-worded to give you an easier understanding of the concepts without needing to watch the video. Many coaches run practice drills to look better in practice but too often the drills don’t transfer to a game. We do a lot of things as coaches that do not transfer into a game. A thought from John Kessel – What do you coach? He argues you coach people and they play basketball. Therefore the most important thing is to understand people and how they learn. We do a lot of things in basketball that asks players to memorize something – patterns of offense, patterns of shooting, but the game is not a memorization test. The game is different every time. We don’t want to teach players memorization. We want to teach them concepts. Practice should look ugly because that’s how you learn. You make lots of mistakes. How did you learn how to ride a bike? By falling a lot. Use Socratic method of bringing out discussion when you ask a question in practice. Ask your players who wants to agree, build or challenge a concept raised in practice. Transfer and retention are important terms in evaluating your coaching. Do the concepts transfer to the game and do your players retain them in the game? The average number of trips up and down the floor in 5-on-5 play at the women’s FIBA level is three. For men at the FIBA level it is four. This means you should structure your practices in trips up and down the floor of at least three before a stoppage. Over 65% of game possessions on offense starts with a defensive rebound or an inbound play. Starting from a check ball situation never happens. He suggests you should start your trips in practice from realistic situations. If you don’t, you are robbing players of learning opportunities and the the opportunity to get into offense from chaos. Teaching – Can stop it at any time to correct. Learning – Coach on the fly and dead balls. Competing – Just like a game. Time-outs. Play through mistakes. If you stop players too much in your drills they will never get the fitness components of the game. The number one rule for teammates on penetration reaction is to create a double gap for the dribbler. This means to remove the defenders who are one pass away in help by cutting or spacing. 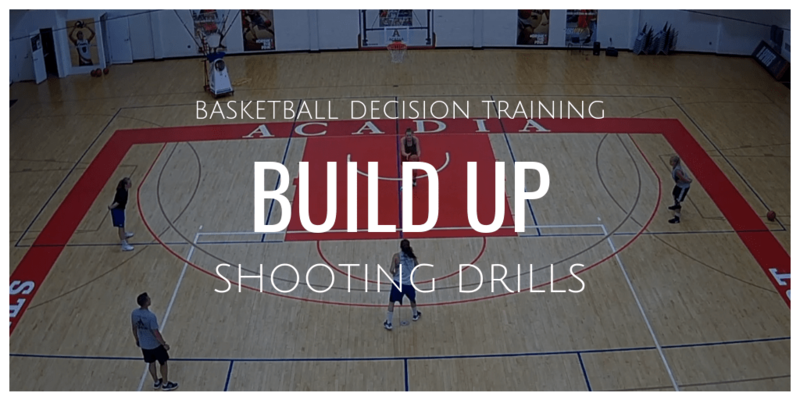 Build practice plans around the energy systems and not just the basketball systems. How can you put pressure on the basket on offense? Three ways: Cutting. Penetration. Screening (With a cut towards the rim). Freeze and rewind are his classroom management commands. Teaching signals and their meanings speed up your practice communications. Practice cuts vs. game cuts is an important understanding for players and their practice improvement. If you stop the action constantly throughout the practice the players will get frustrated. In regards to blocked vs. random practice, although it looks like you are getting better when you shoot the same shot over and over again, the problem is that the results won’t hold up in the re-test (competition). Once you are on auto-pilot you are not aware. Thinking must be challenged constantly to stimulate improvement. Questions to ask players: What’s one thing you learned today at practice you can apply in the next practice? Thanks for reading. If you found this summary valuable please share it. How about muscle memory, is it part of fake learning??? Science generally rejects the idea of muscle memory in the literal sense that the term is generally used. Skill acquisition is more than just muscle memory. It depends on “the establishment of complex neural networks throughout the human movement system fostered through considered practice repetition in appropriate environments.” What we are really talking about is retention. And retention is best developed through random practice, rather than blocked practice often associated with the term muscle memory. So whatever you call it, and however you think about it, the goal for all learning is permanence.